Brandon Clig is the Sales Manager after spending five years as a successful Commercial Security Consultant with Custom Alarm. 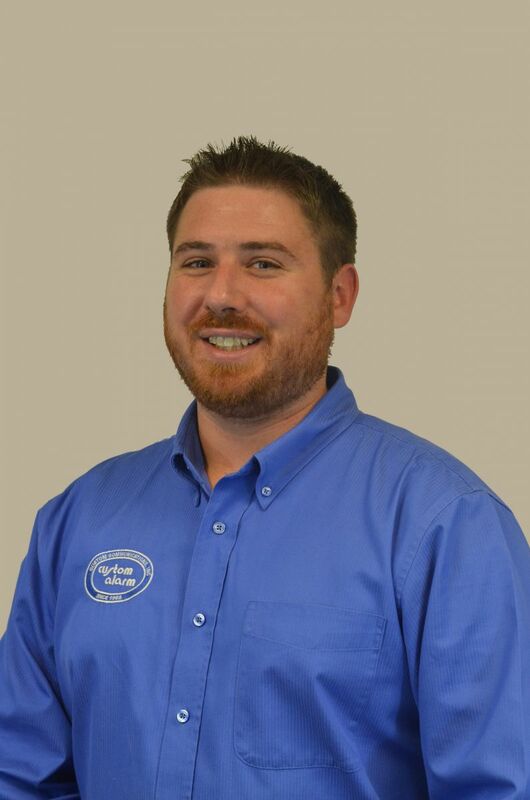 He is dependable, friendly, and loves building relationships with his customers. Brandon brings great leadership and knowledge to the sales team. While serving in the United States Army for over five years, he found himself building the discipline and self-less service qualities that shaped his personality. After completing his Associates Degree in Savannah, Georgia, he moved to Winona, Minnesota in 2010. He found a position as a Sales Account Manager for a National Manufacturing company, but quickly realized he was in pursuit of something that could better utilize his skills. In his free time, you can find him volunteering for a few local non-profit organizations such as the Rochester Area Builders and the Rochester Chamber of Commerce. He loves spending time with his wife (Rebecca) and two kids, (Jocelyn and Caidyn). You can often find them partaking in local community activities and social events.